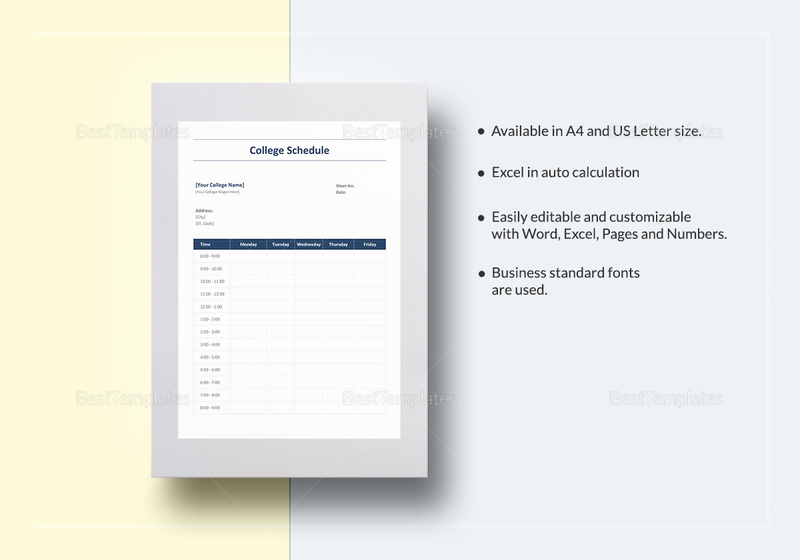 Anyone who has ever been to college know that it is not easy to memorize schedules – especially if you have extra curriculars to factor in to. 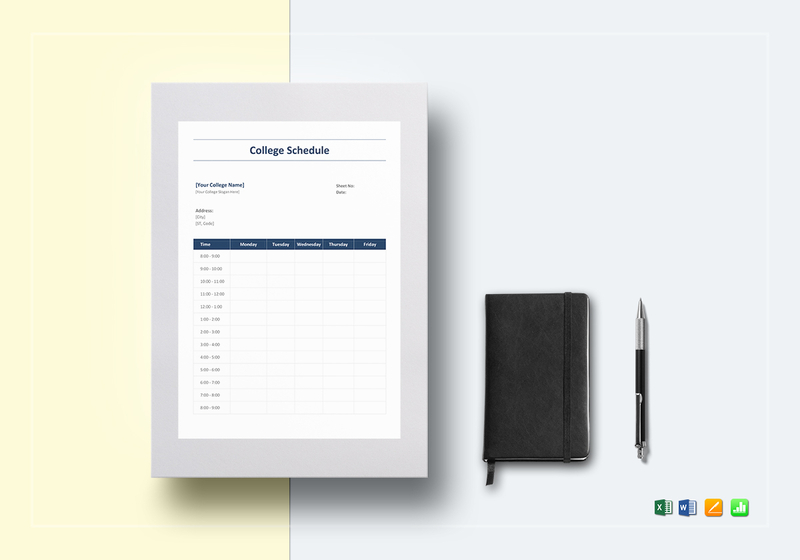 This college schedule template will make it easier for students to remember where they should be, and when. 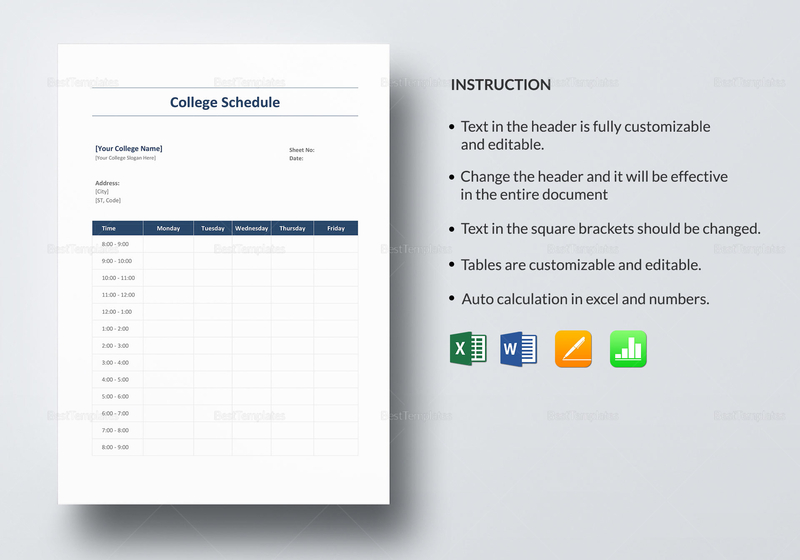 Download and print or share online for class schedule access.